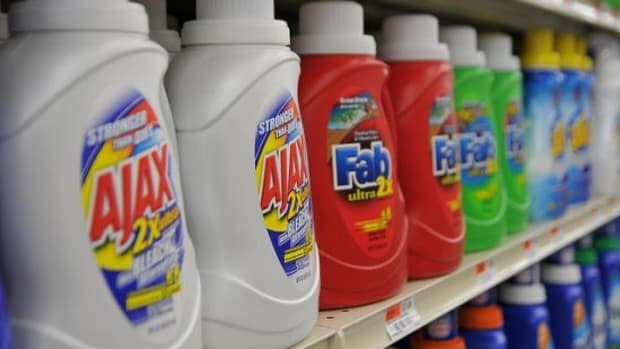 Companies take advantage of that lack of regulation to make bogus claims about their cleaning products and to include toxic chemicals in their products without letting consumers know. Hidden behind vague terms or not stated at all, it&apos;s hard to know just how bad these chemical concoctions really are for your health and for the environment. That’s why the Environmental Working Group, a non-profit research organization known for its personal care product database, has created a new database that includes more than 2,000 household cleaners. The EWG ranked the cleaners based on how hazardous their ingredients are and how much information they include on their labels. The EWG plans to debut its EWG Cleaners Database in September 2012. In the meantime, the non-profit released a list of cleaners for its Hall of Shame. Take a look at some of the worst offenders the EWG has uncovered—so far. Perhaps one of the worst because it undeservedly boasts the title “green”, this all-purpose cleaner from Simple Green contains 2-butoxyethanol, a solvent known to damage red blood cells and irritate eyes. Despite its “non-toxic” claims on its labeling, this all-purpose cleaner also contains a secret blend of alcohol ethoxylate surfactants; some chemicals in this family are banned in the European Union. Even worse, the EWG notes that the company website instructs the user to significantly dilute this product when cleaning. Actually, Simple Green calls it “custom dilute,” as if it’s some fabulous product feature. 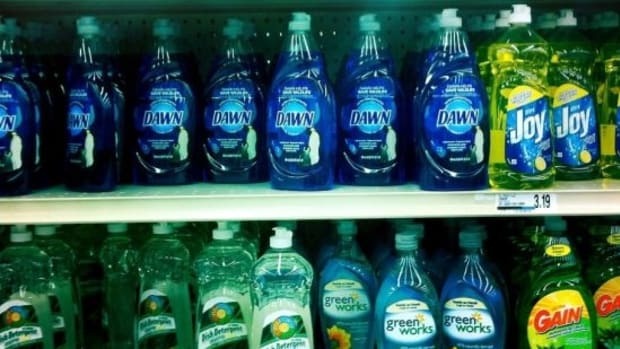 Yet, the cleaner is packaged in a spray bottle that implies it can be used full strength, which means possible higher exposure to the toxic chemicals in this product. Awful. Despite its cheery cartoon scrub brush mascot, Scrubbing Bubbles bathroom and shower cleaners should do anything but bring a smile to your eco-loving face. These products contain chemicals banned in the European Union including DEGBE, which can irritate and inflame the lungs. 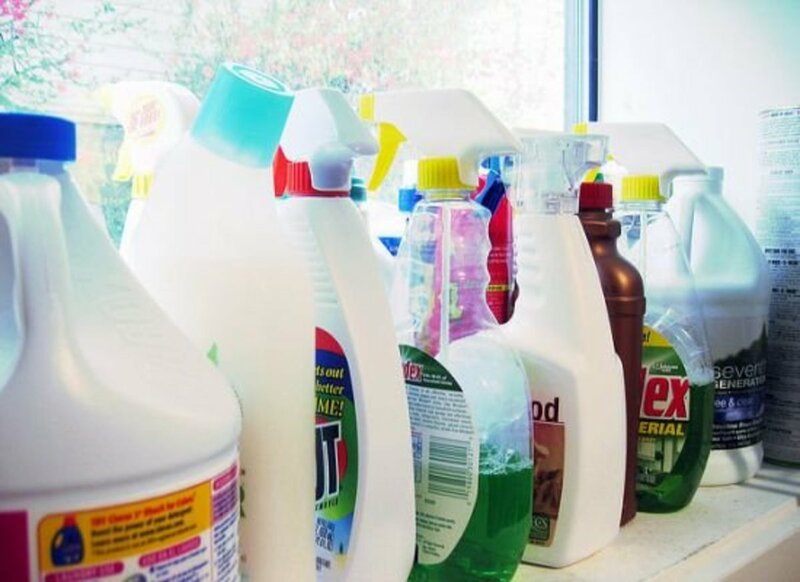 The European Union bans this chemical in household cleaners in concentrations above 3 percent. These products contain up to 10 percent. 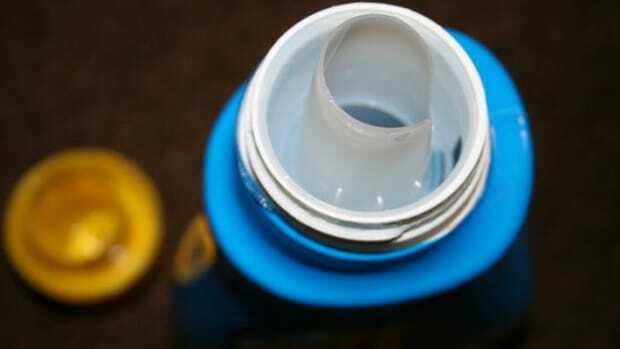 Besides dissolving the gunk in your oven, the chemicals in this cleaner can also burn your skin and eyes. The label says as much. It advises users to avoid eyes, skin, mucous membranes and clothing. On top of that you should also wear long gloves when using it, avoid breathing in the mist, use only with adequate ventilation and do not ingest it. Something so dangerous has no place in the your eco-home. Unlike food, cosmetics and drugs, ingredient labels are not required for cleaning products. Some companies choose to include their ingredients because of consumer pressure—others do not, including, Target’s Up & Up brand cleaners. This brand’s toilet bowl cleaner and glass and surface wipes list no ingredients whatsoever. Other cleaners in its line of products list only one or two ingredients, or use vague terms. Hiding something, eh? You know many household cleaners on the market pose serious health hazards, but what about death? This toilet bowl cleaner from Lysol even states on the label that it is “harmful or fatal if swallowed”. The label also suggests wearing safety goggles as a bit of this acidic concoction can cause “irreversible damage” to eyes. So not worth a clean toilet. 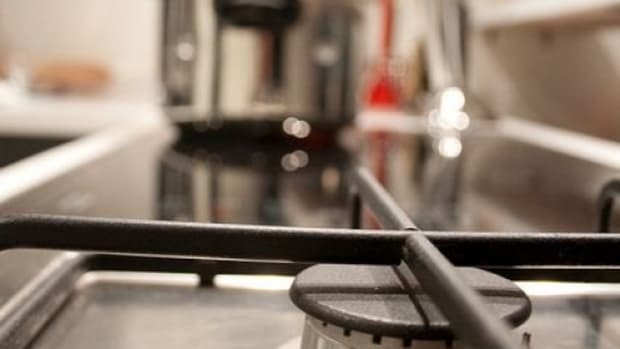 How does mixing in a little formaldehyde into your washer full of laundry sound? That’s what you do if you use any of these Phoenix Brands detergents. As a known human carcinogen at its worst, formaldehyde has also been found to cause asthma and allergies. The company only lists this information on the product as a technical disclosure for workers. One hundred forty-six: that’s the number of chemicals the EWG found in this common household toilet cleaner. Some of the chemicals are known to cause cancer, asthma and reproductive disorders. The most toxic of the chemicals found, including formaldehyde, benzene, chloroform and toluene, are not listed on the label. The EWG states that little is known about the health hazards of most of the hidden chemicals. Even though some cleaners contain ingredients derived from plants instead of petroleum, that doesn’t mean they’re safe. Case in point: this cleaner and degreaser is made from d-limonene and orange oils from citrus peels. Sounds innocent, but when sprayed into the air these oils can react with trace levels of ozone air pollution to form ultra-fine particles that can penetrate deep into the lungs. 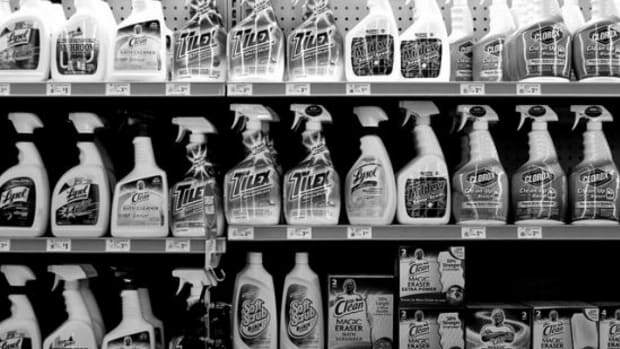 Many of these brand name spray cleaners are laced with ingredients that cause asthma, including quaternary ammonium compounds or ethanolamine. These chemicals can trigger asthma attacks and even cause new cases of the disease. These products essentially spray these dangerous chemicals directly into your home’s air. 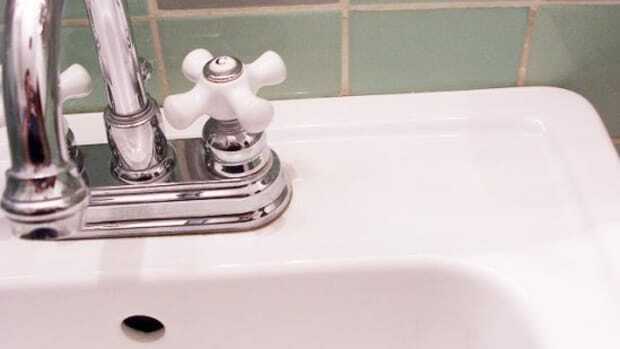 This bathroom cleaner contains up to 10 percent of a toxic solvent called 2-butoxyethanol. Canada only allows this chemical’s use in non-aerosol cleaners up to 6 percent. 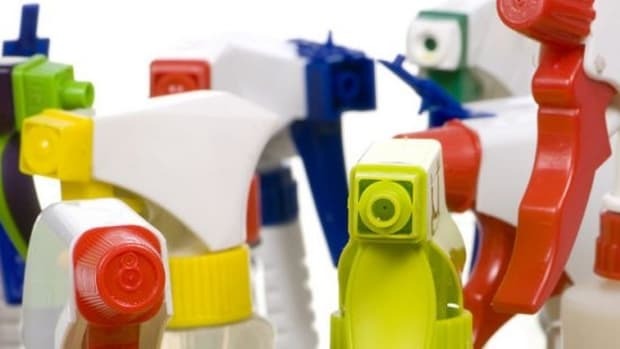 As if that wasn’t enough of a hazardous toxin for one cleaning product, this product also includes nonylphenol ethoxylate, a chemical prohibited in cleaners in the European Union.